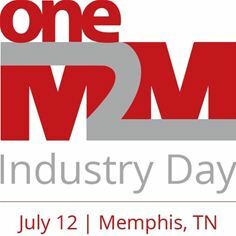 Washington, DC, and Memphis, TN, 20 June 2017: Technology giants and industry-renowned Internet of Things (IoT) experts will come together in Memphis, TN, on July 12, as oneM2M hosts its second Industry Day to further progress the IoT and M2M industries. Industry Day keynotes offer insight into the latest real-world IoT implementations using oneM2M standards and show how oneM2M ‘s work complements that of other IoT standards development organizations (SDOs). Speakers from oneM2M member organizations and SDOs will be featured, including Thread, Qualcomm, HPE, iconectiv and ATIS. oneM2M created the Industry Days to increase collaboration in the industry and demonstrate the success of oneM2M’s deployments and progress – as well as jumpstart collaboration toward new and innovative future industry deployments. The first Industry Day was held in Shenzhen, China, in May. Tech Mahindra, ADLINK, Huawei, the China Communications Standard Association and the China Electronics Standardization Institute were among companies and organizations taking part. Due to the success of the China event, the Industry Day in Memphis is being held as part of oneM2M’s Technical Plenary, which takes place the same week. Anyone interested in attending the event should contact the Technical Plenary Chair. For more information about the oneM2M Industry Day, please click here http://www.onem2m.org/news-events/events/eventdetail/59/-/onem2m-industry-day. For more information about oneM2M, please visit www.onem2m.org. oneM2M is the global standards initiative that covers requirements, architecture, API specifications, security solutions and interoperability for Machine-to-Machine and IoT technologies. oneM2M was formed in 2012 and consists of eight of the world’s preeminent standards development organizations: ARIB (Japan), ATIS (U.S.), CCSA (China), ETSI (Europe), TIA (U.S.), TSDSI (India), TTA (Korea), and TTC (Japan), together with six industry fora or consortia (Broadband Forum, Continua Alliance, GlobalPlatform, Next Generation M2M Consortium, OMA) and over 200 member organizations. oneM2M specifications provide a framework to support applications and services such as the smart grid, connected car, home automation, public safety, and health. oneM2M actively encourages industry associations and forums with specific application requirements to participate in oneM2M, in order to ensure that the solutions developed support their specific needs. For more information, including how to join and participate in oneM2M, see: www.onem2m.org. As a leading technology and solutions development organization, the Alliance for Telecommunications Industry Solutions (ATIS) brings together the top global ICT companies to advance the industry’s most critical business priorities. ATIS’ 150 member companies are currently working to address 5G, the all-IP transition, network functions virtualization, big data analytics, cloud services, the ICT implications of Smart Cities, emergency services, M2M, cyber security, network evolution, quality of service, billing support, operations, and much more. These priorities follow a fast-track development lifecycle – from design and innovation through standards, specifications, requirements, business use cases, software toolkits, open source solutions, and interoperability testing.